I've often heard it said that God loves you just they way you are, but refuses to leave you that way. As I ponder welcoming and hospitality, I also reflect on a God that bids us come . . .
Welcoming gives way to surrender; surrender to transformation. How does your community welcome--and whom do they welcome? What are your hospitality ministries? I live in a town where football reigns! The fall start up of our local university brings with it many fans for the "home team." Parking, already a premium in our area, becomes nearly impossible during home football games, and I have a reserved parking place! I find it particularly annoying that on Sunday mornings I often have to have a car towed from my reserved space in a parking lot that is designated as Church Parking. Football is something I've grown up with; each of my brothers play on our High School Team (at different times due to their ages), and my family enjoyed watching games together on TV and the occasional treat of being in the local stadium. But more and more, I have noticed that professional sports seem to have taken on a new dimension! Of course, I view this with the lens of an Episcopal priest--so there is a bias in my comments. I've joked a few times about "the other god"--the one who is worshiped from the stands. How I'd love to see folks flock to church like that on Sunday morning. "Football needs a Guardian, not a CEO." According to this piece, since the Superbowl earlier this year, 29 professional football players have been arrested. This saddens the heart. I think I'm giving up football for the future. It's time we stop glorifying these so called "superstars!" I'm not seeing them as very good roll models for our young people. Sports can teach young people many good skills, but we really need some better examples. There are some really great players out there I know--and we need to hear more stories about them. It's too bad that 29 of them give them a bad rap. Sundays will find me in church, worshiping God. The only pigskin I might remotely get close to is a bag of fried pork skins on my low carb diet! :) If you have a son or a daughter considering professional sports, help them think through this. Can we salvage sports, or are we just in for more of the same? In the latest issue of "The Christian Century" I was surprised and delighted to see Valarie Weaver-Zercher's article "Chaste romance." The premise of her article is about Amish fiction and its rise in popularity over the past several years. Surprised, because it caught me off guard--seems as if the Amish are every where. Delighted because I think it speaks to a hunger in American life. 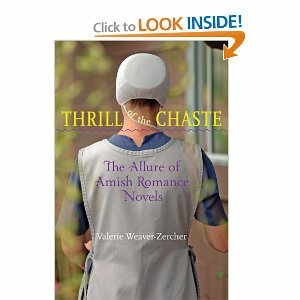 Weaver-Zercher's new book Thrill of the Chaste: The Allure of Amish Romance Novels, has recently been published by the Johns Hopkins University Press. She spent a great deal of time and study researching the popularity of the rise of Amish romance. I hope to read her book in the future. I discovered the author Beverly Lewis while in seminary. She is one of the more popular authors and has written a number of books over the years. ( You can read about her at http://www.beverlylewis.com.) 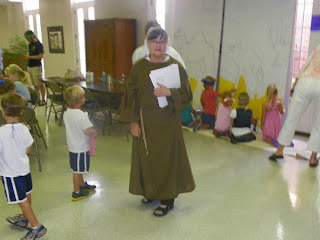 Personally, the reading was pure escapism; my brain could only hold so much theology! It was intriguing to read about the Amish--the simplicity of their lives embedded in "romance" stories. While it provided entertainment and reading that was quite different from my theological studies, I do admit that it also opened up new avenues in my life. To be fair, I've also read a book or two by Julia Spencer-Fleming (my favorite was In the Bleak Midwinter) and the exciting life of her main character, the Rev. 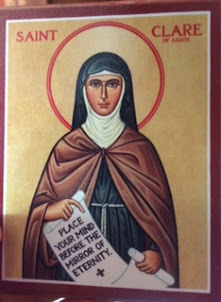 Clare Fergusson ( and yes, she did serve a St. Alban's just like me!) But I've returned again and again to Lewis' books because there is a hunger deep within, not so much for the romance, but a simplicity of life and a place where one can find something that doesn't involve violence. Yes, peacefulness is desired. With the rise in popularity of reality TV programming (I'm not a TV fan), there is still something to be said for ficition. While the books provide entertainment, they have led me to an exploration of Anabaptism, along with my Anglican/Episcopal roots. Anabaptists are as diverse as any other Christian group; but I find the commitment to peace and justice issues very compelling--they are a gentle people. Presently I am slowly reading John Howard Yoder's The Politics of Jesus. This is no Amish romance book. I am finding Yoder's book a challenge at many levels. I'm not sure that I would have stumbled across this book if I had not first been exposed to authors like Beverly Lewis. 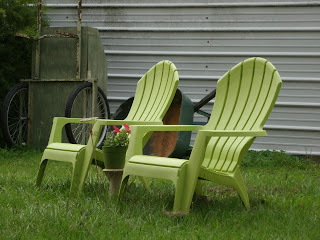 The Monday after Easter was a welcome rest for me from the hectic pace of Holy Week. Life as a priest falls into certain rhythms, and Easter Monday provided some time to be home savoring the blessedness of our Parish Life. I've read with great interest about the Amish and Easter Monday; it is not the time spent hunting bargains or half-priced candy. Amish businesses are closed and the Amish spend the day visiting with family and friends. In the Anglican tradition, my family is celebrating the Great Fifty Days of Easter. 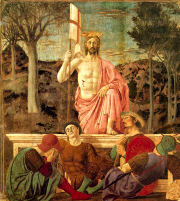 It was St. Augustine who said, "We are an Easter people and Alleluia is our song." 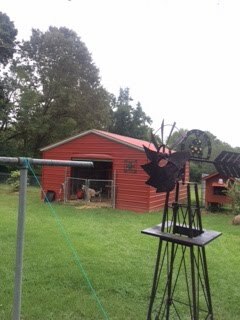 Each day, we look for joy, and signs of resurrection all around us (although as I pen these words, it is rainy and chilly and winter seems to be hanging on!) Perhaps your family (however you are configured) would like to celebrate these Great Fifty Days, too. They begin with the Great Vigil of Easter and continue until the Feast of Pentecost (following the liturgical calendar) Here is a website, while Roman Catholic in its orientation, may give you some food for thought! Next year following Easter Sunday, the Day of Resurrection, I think I'll take a cue from the Amish, and instead of just resting, or catching up on duties I didn't get done during Holy Week, I'll take Easter Monday and visit--with family and friends. It will be a nice addition to our Fifty Day celebration.